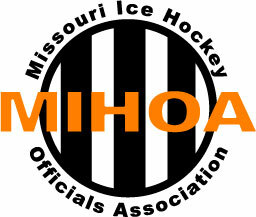 ​The Missouri Ice Hockey Officials Association (MIOA) provides a variety of services to the State of Missouri and St. Louis Hockey Community. The Official referee scheduling body for all games under the jurisdiction of Missouri Hockey. The provider of on ice officials for USAH District and National Tournaments held in the State of Missouri and the St. Louis area. Encouraging the spirit of fair play and sportsmanship by providing safe and fair environments in which to conduct competitions. ​Our officials are USA Hockey certified and trained by certified USAH instructors to provide each official with the required USA Hockey classroom instruction and certification testing. MIHOA has a trained evaluation staff which evaluates a large number of officials each year and provides valuable feedback and points of emphasis for on and off ice improvement.